This is great, because he has modeled and shown them the power of asking and collaboration and connection! Dean, you are great!! If you're using video at all, this is a must see. I don't have any money in my budget, but somehow I'm going to figure out how to get Adobe Premier elements or Pinnacle Studio (I have 10 but would have to buy an upgrade) and a green screen. I want to do this! And he even showed how they can green screen and put both of them on the same screen. Now wouldn't that be cool. Thanks, Dean! You inspire in so many ways. I wish I wish I wish I could do green screen. How? No time to blog the content, but thanks Ken Kern for recording this in Maine. Slides and presentation resources are on my wiki. I think one of my favorite Wow2 shows is the one with David Jakes and Ewan McIntosh. It was so lively and so very real. We talked about change and how to impact education and much more. Sometimes people come through for you in such an incredible, amazing way, you just want to cry! Dean Shareski's Flat Classroom Keynote Rocks! Dean Shareski has just "delivered" our keynote address for the Flat Classroom project. For those of you who are following the project, you know that we've remixed the project working to get students to incorporate the six senses of the conceptual age as outlined in Dan Pink's Book, A Whole New Mind. How do we engage the right brain? How do we get students to design, to innovate, to create when they are so used to mind numbing worksheets and regurgitation of facts on tests? At first it is like pushing a big bus up hill. Afraid at any moment, the bus is going to roll back on you and crush you. However, when you get that bus to the top of the hill and it starts rolling, there is no passing it... it is gone! We're getting close to the crest of the hill, most of us teachers feel, as we talked about it in our weekly elluminate meeting this week. And it has been very very hard. One hundred per cent participation, can it be done? Part of why it is so hard is that it is a 100% participation project. In global collaborative projects, any student who doesn't contribute sticks out like a black dot in the middle of a white screen, and the kids in the other classes let the teachers know loudly. And it is getting to that 100% participation that is so very hard on the teacher. Think about it, every thing else we do as a teacher, we can get buy with 20% (class "discussions), 40% (class projects), or even 70% participation (tests?). But this is a project that requires everyone to contribute, everyone to participate. There are no desks to hide behind when your classroom has no desks... only wiki tabs, blogs, and social networks. How hard is that? Seemingly insurmountable. However, when you can get that bus at the top of the hill and it starts moving and accelerating past the effort you've put into it. When it gains momentum, there is no feeling like it in the world. I keep holding onto that feeling I had with Flat Classroom 2006 and Horizon Project 2007. This project is more ambitious than anything we've done before and we have seven great teachers involved. We have our time zones, vacations, sickness, sports, homecomings, looming exams (in Australia) as obstacles. There are a thousand excuses of why this project cannot be done. And yet, each teacher is adjusting the expectations for their class and pushing towards 100% participation. Dean Shareski, I believe is the tipping point for this project. The only problem I'm going to have is when my students want to do green screen. We shoot the whole project with Webcams, Movie Maker, Audacity, and Quick Time Pro. Julie and I keep racking our brains... how could we take such a project to more classrooms in the world? How can we facilitate such projects? How can we take the template we create and have many other teachers take it and do their own? It's a little drop in a big bucket (but it is our class in the drop.) How How How? We have a great sounding board group of peer reviewers that are coming on board and we're very excited about what will happen during the second and third week of November with that. We even have a teacher who is going to look at peer review at the elementary level for Flat Classroom. The new volunteerism is all around us. It is helping one another and participating. It is our own R&D, as Dean was "playing with green screen" as he delivered this keynote. Join in this project (we still need judges) or find another global collaborative project and participate. Be a part. You'll find that you and your classroom and school will become a better place as you connect with others. No, you cannot do it all. However, I believe that every teacher, every administrator, every librarian, every volunteer in education should pick at least one online project (or two) each semester in which to volunteer and work either as an individual or as a classroom. (It may be a class project, professional development project, webcast, anything.. it just needs to be global and it needs to be open as much as possible.) It is part of global awareness. It is a part of who we need to be. WE are the collage... go ahead and paste your face up there. All the technology in the world and the excellent teaching in the world doesn't matter a "hill of beans" if kids aren't watched properly on the playground. How can we tell students to have excellence in the classroom when the PE coach sits idly by as the children rough-house and the bullies roam free? We often take the teachers who cannot control their classrooms and move them out of the classroom. Where do many of them go? Onto the playground, the last place they should be. Attentive, diligent, loving adults must vigilantly watch children. Every room must be a safe zone. Children must feel safe. They need to trust that teachers are watching keenly enough so that the initial perpetrator is caught... because more often than not, when the kid who is being picked on retaliates, they are the ones who are victimized all over again. I write this because I am an underdog. I was picked on horribly in middle school. Tomorrow I have my twenty year class reunion and you know what? I don't want to go. I really don't. I feel fat. I feel angry. I don't want to watch the slide show with 2000 photos (most of which I took) and see only 3 of me. (Uh, we had only 32 in the class.) I want revenge... and yet that is not what I do nor what I believe in. After twenty years it all comes rushing back. Every time my own children go through it, I have flashbacks. Those who have never had a child or grandchild experience the traumatization of incessant "picking" or gone through the gauntlet themselves cannot imagine it. "My high school class just wasn't that way. We just didn't pick on anyone." Can the cat in this picture identify with the mouse? Not if they've never been cornered and helpless! If this is you, you need to know that every school has their child who is picked on... every class... every school. It is there. We are human beings and we are very good at being unkind to one another. If humans are there, so is happiness... so is hurt. It just is. This is not a pity party, this is to point something out. Kids learn where they feel safe. I tell students my story so they know that I don't put up with it. I don't like the rolling of the eyes, the sarcasm, the looks... I can see it a mile off because I lived it... I still live it. Will this pain ever leave? I doubt it. Is this pain for a purpose? I know it. Do you seek to help the hurting? I know what it feels like... I actively seek out those who are picked on to actively find out what they are good at. I give them extra love. After all, everyone loves the popular, it is the one who isn't so popular who needs a little extra. When we have our senior slide show, I make the students count how many pictures are in there of each senior... it is going to be as even as I can make it. It happened to me, but as far as it concerns me, over my dead body will it happen to someone else if I can help it. Technology isn't the only thing. It's one thing. And don't get so enamored with technology that you forget that physical or emotional trauma whether in the classroom, on the playground, or in the home has a profound, indelible mark on the student's performance and your performance as a school. A hurting child is expending a lot of energy on pain management. A safe school with watchful teachers creates a good learning environment which then promotes excellence. For if this pain and agony that I feel at this moment can make you a little more watchful and help just one student, I'd like to say it was worth it. I'm not feeling so charitable right now. Right now, I'm just hurting and it goes so very deep. Today, it was my child on the playground. I spent a little time with Dr. Pfister's Principles of Curriculum Improvement course at Illinois State University. Here is the ustream -- if you forward the first one to minute 5 and then it gets started. Oh, and I can't believe it -- I'm actually putting myself up without my makeup. Oh well. There are some important thoughts I have on curriculum, how to influence teachers to use technology, and how I WISH things would change. Their questions really got me going!!!! Oh, and the volume is a bit loud so you'll want to turn it down. And the stream dropped and this is the end of the show. Here I talk about bureaucracy, some thoughts on failing schools... just opinions. I really got a bit hyper. Knowing how to use Google maps can save your life. This article about how a Google map is being used to track the fires in San Diego and the fact that life radio streaming coverage is being used shows me just how far things have come. These things aren't just gadgets, they are life saving. They are important. They are part of being able to function in the world. The digital divide grows larger as we increasingly depend on these mashups of our lives, tragedies, loves, and losses. Are we helping students survive in an online world? I had a former student come back last weekend and tell me she missed my lab most. Her new school has a great computer lab but the teacher won't let them on the Internet b/c she is afraid they'll get a virus. Instead, what are they getting? They are getting "bubble boy" syndrome. Raise a kid in a bubble and he has no immunity, no resistance, no ability to live in the real world. One of my favorite new books is Wikinomics by Don Tapscott. It is an incredible book that is "right on the money" as we say here in the south. Mass Collaboration has changed everything... it has transformed my classroom and made such projects as Flat Classroom and Horizon Projects possible. "Don Tapscott, the author of the best-selling book Wikinomics, is inviting TakingITGlobal members to share their views on a range of issues as part of research for his upcoming new book! Over the next few weeks, your students are invited to express their thoughts and experiences related to learning and education on a Featured Discussion Forum, and may even get a chance to be quoted in the book itself! Students can join the conversation directly here: http://en.discuss.takingitglobal.org/6909"
Taking IT global is an incredible organization and I highly recommend it. Join in and give students a voice. Show that mass collaboration does change everything. This is very important. "Thank you for writing me back...I did write an introduction to the manual which lists the student benefits of creating an online portfolio. My professor has been trying to convince all instructors of ... [removed to protect privacy] how they can also benefit by having their students create online portfolios. I would like to list in my introduction, instructor benefits as well because I am sure that there will be some who see my manual. Hopefully the manual will help my professor in that area as well. What are the benefits to you, as a teacher, in having your students build online portfolios. I'm sure it saves your desk from being piled sky high with completed assignments, but what other benefits are there? I have attached the introduction to my manual for you to read if you get a chance. Maybe it will give you an idea as to where I am going with this. I don't have to include instructor benefits. I just thought is would be a great addition. If you have the time, it would be great. Either way, I appreciate you!" I had a quick response as follows. It provides a central repository for collecting the digital artifacts that are samples of student work in one location. It provides a location that students can show to potential employers. Selection of the primary artifacts requires reflection and higher level thinking as students justify their selections and why the artifact selected distinguishes itself from other work. It provides meaning. The portfolio doesn't go on the shelf to gather dust... I see students add to it later. I think in fact, students should move to a point in college where all artifacts from all courses are on one page with students selecting one or two major artifacts from each course. This provides a method of remembering salient information from each course as well as quantifiable output." But I knew someone who knows so much more about e-folios than I. Efolios like anything can be a "slap a link up there" kind of mindless experience or can be a rich, meaningful learning experience such as technology SHOULD be providing. Vicki sent your email to me because I am currently doing research on the power of efolios for assessing program standards in teacher education. In Georgia, all teacher education programs must demonstrate that their students are meeting the elements of their conceptual framework in three areas, and almost all programs require students to create efolios to meet state standards. teacher candidates must demonstrate they have taught these lessons, and that the students they taught learned something and were able to perform these skills (e.g. students in the public schools had to use critical thinking skills in activities they did, and the teacher candidates included these student work samples in their efolios). The power of the electronic portfolios are many. I won't repeat Vicki's excellent list, but add a few to it. Reflection is the core of learning. efolios allow students to reflect on what they are learning and express this as they justify the inclusion of artifacts in their efolios. I always gave grades on the reflections, as well as on the artifacts used. Having key work samples in one place allows students to reflect on their growth and development throughout their program. Seeing progression over a couple of years is powerful, and enables students to demonstrate growth. If you use powerful tools like Wikis, your professors can provide feedback on the efolio, so there is a record of input and responses. Critical thinking is central to learning, and an efolio requires that students demonstrate thinking, decision making, problem solving in their work samples. It is important to think of efolios as reflective tools rather than places to collect artifacts. I have seen some universities that use efolios for students to put samples of their work in one place, and the students do it in a week or two at the end of their program. This makes efolios a collection of materials, but not a educational experience. I believe efolios should be an ongoing part of the educational process where students and faculty are engaged in the process of developing the efolio together. Every class should require that students post to the efolio and justify their selection, along with demonstrating how they are meeting the program outcomes. Faculty can assign grades to the development of the efolio to emphasize that it is a part of the learning process. Congratulations on moving in this direction. It sounds like you are looking forward to the use of technology for learning. I would encourage you to look at wikis for the process because they are so flexible and record everything that takes place throughout the history of the development of the efolio. They are much easier to use than Word, and they require no software on the part of the students. There are also a lot of software packages on the market now for student use in developing efolios -- LiveText comes to mind, and for $89 students get a 5 year license to develop their efolios and universities get permanent access to the efolios. Universities run into problems when they require one version of software for a project, especially with the new free software for word processing, Corel, and other word processing programs that aren't compatible with Word. I wish you well in your project. It sounds like you are about to effect positive social change in your university. Good for you. Such meaningful dialog couldn't be wasted on my inbox. How about you, what is your opinion of efolios and how do you use them? What is the difference between a "links only" efolio and a powerful reflective efolio? Just when I needed more motivation on Monday, comes through this e-mail about a friend of mine Scott Rigsby. He graduated the year ahead of me and had a terrible accident that almost ruined his life. He's the first double amputtee to complete an iron man. Here's the story from the AJC. endurance races just kept giving. first below-the-knee double amputee to complete an Ironman triathlon. kind of history didn't require much margin. the technology to make an audacious idea possible. not being able to do it." Hawaii weighed down by the need for credibility. him, "You have got to finish this race because you can change the world. Our military men and women need you." "He's not going to make it; he's absolutely not going to make it,"
up a door, I'll run through it" — didn't seem quite so simple now. "wall." He struggled through that, picking up his pace. since he had begun competing. just do three miles, you have an opportunity to really change the world. You can have an impact," he said. loudest SEC game you've ever heard." stretcher I can," Rigsby said. follows, Rigsby and his friends are designing ways to draw interest. Rigsby will be featured in the NBC broadcast of the event, to air Dec.
competitors and the redefining of limits. "There is no beer and chicken wings in my future," he said. say the reason they did this is because they saw Scott Rigsby do it." What's your excuse? What's mine? This is also the point of legacy. Will others know they can do it because they watch us? This is one of my favorite scenes in a movie. It is worth watching on a Monday.
" Sam: It's like in the great stories Mr. Frodo, the ones that really mattered. Full of darkness and danger they were, and sometimes you didn't want to know the end because how could the end be happy? How could the world go back to the way it was when so much bad had happened? But in the end it's only a passing thing this shadow, even darkness must pass. A new day will come, and when the sun shines it'll shine out the clearer. Those were the stories that stayed with you, that meant something even if you were too small to understand why. But I think Mr. Frodo, I do understand, I know now folk in those stories had lots of chances of turning back, only they didn't. They kept going because they were holding on to something. So friends. Let me ask you this on a Monday. Are you pushing ahead or giving up and turning back? And I cannot point my finger at you, for I have felt like quitting more times in the last week than in my whole career as a teacher. And yet I will not. I want to be a hero in a story of how the world changed and I did not quit but was part of a movement of great people who believed in civilizing the New Frontier. I want to be part of the group of educators who was grossly misunderstood and mischaracterized and yet did not stop. It matters not if anyone ever praises me. What matters is doing the right thing and not quitting. And folks. Although we may disagree, let us remember, that for the most part, most of us out here in the edublogosphere are on the same team. Don't forget it. OK, guys, I'm going through all of the old e-mails and although I'm a little late on this one, The Economist is debating education. You can still join in. Please do! The following is from Jeff Koo from the Economist. 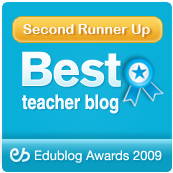 Received via E-mail on October 1st "I saw your blog, Cool Cat Teacher Blog, and am delighted to invite you and your readers to be part of an extraordinary first for Economist.com. The Economist Debate Series officially kicks off October 15th at http://economist.com/debates and voting is underway now to determine the topics that will be debated. We’d love to have you participate in the debate and link to the lively conversation. The Economist Debate Series is an ongoing community forum where propositions about topical issues will be rigorously debated in the Oxford style by compelling Speakers. The first topic being debated is Education and The Economist is inviting you and your readers to take part by voting on propositions, sharing views and opinions, and challenging the Speakers. Oct 26th - The debate winner is announced. To receive debate updates sign up now. We will then contact you to announce the winning proposition and details of the debate as it unfolds. I look forward to you joining us and fellow Economist readers for this lively debate. In the meantime, check the site to track which proposition is winning, and to view guest participants and the announcement of key Speakers at www.economist.com/debate. Also, if you would prefer not to be contacted again in the future, please let me know." Does your class want to be a sounding board for Flat Classroom? 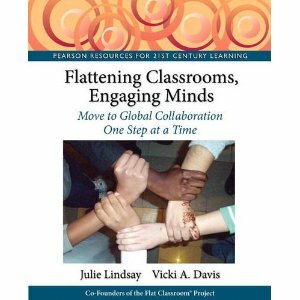 This is an excellent way to expose your student to global collaboration using 1-2 class days. There will be more on this later! 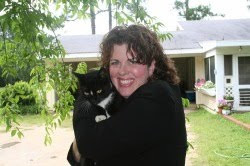 Just reply here, direct twitter me privately or e-mail me at coolcatteacher at gmail dot com. We're also assembling professionals who wish to be judges. This will take about 1 hour between November 19th and November 28th. We're getting very close to some excellent best practices and hope that our proposal for NECC will be accepted to present them. How are you using digital media and arts? As a favor to my super cool Cable in the Classroom editor-friend, Ellen Ullman, I'm posting the following question. I think it is great that magazines are including thoughts from the blogosphere. This isn't a tool per se, and yet it is. Listening on the plane last week coming back from Maine, I heard a simply transformative podcast. Merlin Man of 43 folders sharing with Google his Inbox Zero Strategy. This strategy of handling my e-mail has not only made my days more peaceful it has TRANSFORMED ME!!! Time and attention are finite and precious. If one looked at my e-mail and my online activities, how would they map to what is important to me? You have a finite box of time and attention and every time you put a piece of trash box in your bigger box, that means there is something really cool that cannot be put in. Don't be stupid and don't put it in in the first place. What I did: I use gmail, so I created a folder 2Read. Using the filter assistant, I went through all of my e-mails and filtered everything that is just "newsletters" etc. to automatically go to my 2Read folder, skip my inbox, and apply that to all existing conversations. After I pulled some 1500 e-mails out of my inbox (no I'm not kidding), I went to the 2Read folder and marked them all read. Bam! That felt good. I now go to 2Read about 2-3 times per week. Why should a newsletter that I should probably be getting over RSS tyrannize me! Kill the tyrant of the urgent! He mentioned that book over and over. It is time for me to buy that book! For the Mac mail.app is his preferred. He likes the use of templates (prewritten e-mails that you copy and customize a bit.) If I wasn't in love with gmail's search and spam capabilities, I've researched and found that Thunderbird is a great mail platform providing these things. It is free. I've scoured the net for an easy to use gmail template add in and haven't found one... would love your suggestions. E-mail is a tube to get things from one place to another. It is not a task list. (You should keep one written down or handy and in front of you). It should not be your total focus. You should liberate things there and put them in other places where they belong. Write them on your list. Archive them. What I did: I made sure I have a to do list handy and I've started hacking away at that inbox like a machete. I have found things I needed to do and issues to follow up with. Hack Hack Hack. I've even found some money in there for jobs I needed to do... Hack Hack Hack. I've regained self respect and the frustration of things. My school e-mail went to zero the first day. I've hacked 1800 unread messages (most were junk) out of my inbox and another 3000 read messages have been either archived or trashed. I have another 1700 unread messages to go...it is clutter that is dragging me down and I will not allow it to. Hack Hack.... I'm using inbox zero. 5. Solutions for getting started. He says some people proclaim "inbox bankruptcy" and just e-mail everyone if it was important to remail it ... I'm starting over. I think this is the cowards way out, myself. I liked his idea of a dividing line. Marking a virtual line in the sand and saying... as of this date, I'm going to have a zero inbox. He then says take everything else and move it into a folder called the DMZ and hack at it daily, while keeping the inbox at zero. What I did: This is a great idea, however, I'm afraid the DMZ would be ignored (out of sight out of mind.) So, instead, I have jotted a little note in my planner showing how many unread e-mails are in my inbox and every day it must go down by at least 100. It has decreased much more rapidly, however. It is good to get rid of clutter and be on top of things. He suggests that you open your e-mail at certain times during the day. Get rid of the notifiers, don't keep it up all of the time. Close it out and focus and get things done. I have been doing this for a while and it makes so much sense. It is so easy to ADHD ourselves into thinking we're getting things done. This is why I turned off my twitter notifications... I was to tempted to jump off on a bunny trail. What I do: I open my e-mail 3-4 times a day at certain times and get it down to zero. I check twitter 2-3 times a day (unless there is a reason to check it more.) RSS reader once a day. Get rid of the tyranny of the urgent. Otherwise, you sit down at the end of the day and wonder where the time went. Sometimes you've just got to sit down and get it done! I like to take the things on my list that upset me most and do them first. Get it done. That old e-mail that has been sitting there for six months is making you feel like a bad person... liberate your e-mail. Handle it. Take care of it. When I teach time management in January, I'm going to teach my students inbox zero. Such a great lifeskill. Cost: Free, just some of your time to get started. Use: A strategy for handling e-mail so that you are not victim to the urgency of e-mail. Tip: When you first start using it, draw a line in the sand on a certain date and commit to always have your inbox to be down to that date at the end of each day. Check your e-mail at certain times during the day. Keep a list handy at all times to add to. I have been recently reminded that I need to remember to tell people HOW to do things and point out some really cool tools out there. So, I'm beginning a series called Cool Tools. Cool Tool #1 is a must use tool for bloggers, the Show Yourself Widget takes all of the places you share and puts it in a neat, tidy widget that you can embed on your blog. Wes Fryer emailed me the other day and said he saw it on my blog and thanks, it was cool. And it hit me.... I just didn't even think to share it... over 1400 of you never see my blog and read over RSS. Go to Show Yourself Widget and share your ID's. Notice that you can add all types of other ID's at the bottom, Second Life, etc. And if you don't have it, don't check it, it will dissappear. Remember to customize the name at the top. Then, copy the code, and go into the template of your blog and paste it there. Viola! And after you do this... I think I'm going to have to go to everyone of your blogs and see where you share. Use: For bloggers to show their readers where they share. Tip: When you first start using it, post it on your blog, but don't forget to do a blog post about it so those in your RSS reader will see where you share! "At this point in time, there are 8 time slots for the When Night Falls event which are unmoderated. I am not asking you to volunteer. Instead, what I am hoping that you would consider is helping us spread the word via your learning networks to help spread the word and to inquire of others that you know to see if they would be willing to help us fill in the empty time slots. From the current sign-up, it would be helpful to have more Asian, European, and South American teachers and learners to be able to have a diverse, global collection moderators...For those interested, we have set up two training sessions, one Saturday, October 20 at 14:00 GMT (10:00 am EDT) and Sunday, October 21 at 19:00 GMT (3:00 p.m. EDT). Since the time is creeping upon us quickly, if you could let potential individuals know of these times." OK, guys -- if you've ever wanted to give feedback or listen to Linden Lab's take on Education and Second Life -- tonight over at Discovery Educators is your chance. Read more about this session and enroll. Space is limited to first come first serve so sign up!! And remember, if you can go and don't -- don't complain when Linden does things you don't like! We hope you will join us to learn and exchange ideas with our panel about the issues facing families when it comes to online safety and security. Our panelists come from public and private organizations in Georgia that are committed to keeping children safe online. We have GOT to have some bloggers there. Who is going? Please let me know! I wish they accepted youtube questions!! Don't give up! Keep trying! The encouragement video for you! Whatever your beliefs, you should see this video. It is a message to all of you leaders out there who are reading this blog. "You are the most influential player on this team, if you walk around defeated, so will they." Don't give up. Don't quit. It may seem insurmountable but you must continue to press forward to innovate and improve things. I needed this video today! Wow2 anniversary show tonight with David Warlick -- starts in 4 minutes. Build the affordable, usable laptop lab: What would you do? When I needed a dream computer lab -- I asked and you planned it. So, now I'm looking to propose a dream laptop lab. The only problem is, the budget is very limited. Is it possible to have an effective, working laptop lab with 20-25 computers -- a projector and printer for less than $30,000 -- or less than $20,000? I hope that my friend Steve Hargadon (who has linux working nicely on his laptops) and other open source experts will help give insight to an easy to use laptop lab arrangement that also doesn't break the bank. So, as I did last time, I've opened up the Westwood Tech Plan wiki to your editing. Ask to join, let me know who you are and edit away! As always, you can comment here and as always the answers will be shared. Sometimes things take us in a direction we cannot predict. When Elizabeth Helfant's Flat Classroom Project kids asked if they could share Xbox Live ID's with the other members of flat classroom it left us with our mouths agape. If they can play with strangers, why not with "virtual classmates" and aren't these the kind of connections -- social one's that make things stronger? The ustream/ backchannel work in the sessions last week far exceeded my expectations (see Diane Hammond's kind post.) I used a ustream for audio (and a little vid if they wanted to see me) -- and a Google presentation. (See my wiki for more info.) Before the session started, I went live with the ustream, greeted the guests, and then began! So, here is the question -- what should we call the person (or people) assigned to monitor the backchannel. Several of you have commented that you just hate the term "backchannel bouncer" -- I hate the term "Google jockey" as noted in the Wikipedia article about the backchannel. It needs to convey a person who is helpful but also is responsible for overseeing the environment in the backchannel as well as "bouncing back" what is happening in there to the speaker. In fact, in the blogging session, Cheryl Oakes AND Michael Richards played this role. I want to appoint this person in my classroom every time we do a google pres. "What is the backchannel saying right now?" And if there were any important questions they couldn't answer, they asked me. So before we go too viral with a term most people seem to hate -- what are your suggestions for what we call it? I am having students from this year edit the work of last year's students. This is a great exercise. I really like the avoiding viruses page -- while not perfect, it is a good overview, particularly the slide share at the top of the page. And I love the effective online privacy wiki as well. The point is that sometimes students should not only create from scratch, but should edit something previous students have done -- asking themselves what should be improved. Sometimes asking oneself what is missing is exactly the type of deep learning experience needed. I'm finding I have to work with students on editing. We have a lot of improvement to do. The Maine technology conference has been delightful thus far -- I will have so much to blog when I get back. The people here are great! So let me tell you what I've planned for today, and how you can join in. And this morning, podcasting phenom Bob Sprankle coined a new term. I backchanneled during my wiki presentation (which was useful for a thousand reasons.) Last night, I looked at "backchannel" on wikipedia and learned that the term for someone watching the backchannel and reporting back to the speaker was at one time called a "Google Jockey." Well, I don't know about you, but I don't like that term for the classroom. So we thought and thought. Bob came up with the term Backchannel Bouncer. I don't know if it will stick, there may be a better term. I do think this one has the potential to fit, and I'll tell you why. The Bouncer -- is in the backchannel and people can bounce questions off him/her as a first line of defense -- he handled tons of questions like help w/ usernames -- redropping links in the chat so people could follow on their laptops. But then, every 20-30 minutes I'd turn to Michael Richards (my backchannel bouncer today) and say "What is going on in the backchannel? Are there any questions in there for me or feedback?" He would bounce their questions off me. He made meaning. So, today (it is 2:22 am) I will backchannel in Google Presentations again and also have a live ustream. Don't count on the ustream video being too great, so I recommend pulling up the stream and then following along in the Google pres. This will be streamed live on ustream at http://ustream.tv/channel/cool-cat-teacher-tv. The TV may not be that great, but you can listen to the audio and then see the live presentation in the google presentation. If you have a gmail account, you may also participate in the live chat (or backchannel.) This also allows you to receive links and share thoughts with others. Other links and slideshares are posted on my presentation wiki. And if you want to hear from some people who were in workshops today in Maine -- take a listen - this was about 10 minutes long. Ustream and Operator 11: Hype or Just Hyper? Some accuse me of "hype" over ustream and operator11. Okay, just so I'm clear, this is the next educational paradigm? Really? ¶ Rhetorical question: Wld yo— —u re—ad b—log writ — te —— en liike thi—s? ¶ Ustream offers a choppy, low-res medium, one in which I'll doubtlessly dabble soon, but one which pushes unedited, free-associative thought onto the careless vodcaster. I'm seeing streamcasts circling for thirteen minutes the same point one could make in a coupla body paragraphs. ¶ At least it's new, though. New's important. The thing is — we don’t know if it will work in the classroom until we’ve tried it out and thoroughly tested it. Unlike predecessors of these technologies these are social technologies and we need to TRY THEM OUT. I will not make a lesson plan with a technology until I #1 know it is safe and #2 know it works at least somewhat stably. That is malpractice. So, it may seem like a lot of hype but I think it is more saying — OK, guys let’s test this out. This is where we’re heading — we’re heading to live streaming in the classroom and between classrooms for FREE. It may not be ustream it is DEFINITELY NOT Operator 11 — NOT NOT NOT. I saw enough tonight, although I like the ability, I DO NOT LIKE THE SETUP. Stay awy from it for now, even for staff development. How would I know that without twitting and saying — guys come over here and look? I wouldn’t call it hype but rather — hyper. Hyper because we all love trying new things and we’re trying to figure it out to see if it WILLWork. When it works — I’ll create lesson plans, think it through and share it. But somebody has to try these things out for the rest of us. I have played with it these last two days b/c I’m in Maine and not at home — others are at conferences as well. And yes, there will be another tool next month and another the next month. And you have the initial, what many are calling the “hype” stage but I prefer to call the “hyper” stage where we all are learning about it and playing and then the work happens. Yes, there are people in SL doing some great things. They’re not talking a lot about it. There are some great things coming with Open Sim. Just know that this is what happens. Change happens and it happens quickly. Evolution of tools is viral and we talk about it. And if you’re not comfortable being a beta tester, don’t do it. However, if you look at the video you linked to — I was on hotel wifi — If you look at another video I was on with a better network — it was better. So, it is not there yet — but let me ask you this — when I had a nanotechnologist in last year — whynot have him talk to 200 school kids rather than just 30 live in this way? Doesn’t this give us some great potential as it evolves and improves? Don’t rush to judgement — I haven’t either. The jury is still out on ustream. I’m not ready to take it to students — although for staff development I think it is fine. For Operator 21 — I think it is out of the question. However, let me give you a caveat. Your kids are using it. If they’re using it, you’d better be talking about it — what is proper, what is not. It is here whether you like it or not. Live learn evolve. Do what is pedagogically sound and excellent in the classroom. Don’t run in “loosey goosey” get your act together before going to the classroom. So, you can call it hype, I just call it hyper. And yes, I’m hyper about live streaming — but not ready to “hype” it in your classroom until I’m ready to try it in mine. Guys, if you're going to be part of the viral web, you're going to see fads come and go. But some fads will become permanent parts of things and some will not. We talk about what we're learning, it is just part of human nature. Just think about teenage boys and what they talk about... they talk about what they're learning. New creates excitement. It is part of life. OK, guys, if your'e around today at 2:30, feel free to drop by the ustream channel or visit the Google presentation for my wiki workshop up here in Maine. I'm planning to stream if bandwidth allows most of the workshop. So, just go to http://k12wiki.wikispaces.com to pick up the "TV Channel" and the Google presentation. If you want to play, this may not be the time for you -- I plan to ustream again tonight and that will be a good time. Let's try this out. Of course, my focus is on the folks in the room and if anything happens that takes away from that the stream comes down (although we'll keep using google presentations. Here is the blog post that tells how you can make the most of your ustream tv channel. Arthus started Freelancing when he was Twelve!! Tonight I broadcast on my live TV channel (did I just say TV channel -- what?) from my hotel room in Maine and talked about Wikinomics and my initial thoughts for education. It was a little choppy on the hotel wifi, but the best show was on Kristin's channel -- is the one you MUST WATCH! As we hopped from teacher channel to tv channel -- the best show one happened when Kristin Hokanson and I interviewed Arthus, on Kristin's channel. Arthus is a 14 year old who has been freelancing since he was 12 over on kristin's channel -- she figured out how to stream with skype on ustream -- it was really great. It is an important must listen! I think this one is the best one to listen to-- I was amazed at Arthus!! This is our new student. Kristin really knows a lot about ustream. K12 Online Keynote is Up now! The Must Join Calendar Group!